The history of anthropology is, to a large extent, the history of differing modes of interpretation. As anthropologists have long known, examining, analyzing and recording cultures in the quest to understand humankind as a whole is a vastly complex task, in which nothing can be achieved without careful and incisive interpretative work. 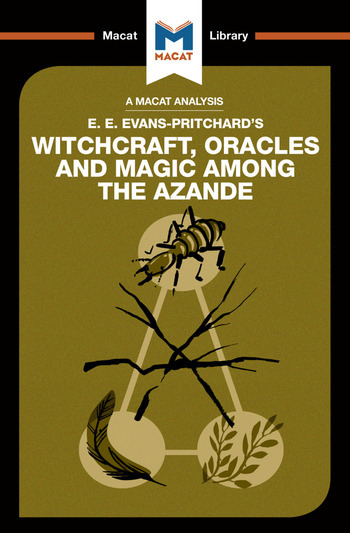 Edward Evans-Pritchard’s seminal 1937 Witchcraft, Oracles, and Magic Among the Azande is a model contribution to anthropology’s grand interpretative project, and one whose success is based largely on its author’s thinking skills. A major issue in anthropology at the time was the common assumption that the faiths and customs of other cultures appeared irrational or illogical when compared to the “civilized” and scientific beliefs of the western world. Evans-Pritchard sought to challenge such definitions by embedding himself within a tribal culture in Africa – that of the Azande – and attempting to understand their beliefs in their proper contexts. By doing so, Evans-Pritchard proved just how vital context is to interpretation. Seen within their context, he was able to show, the beliefs of the Azande were far from irrational – and magic actually formed a coherent system that helped mould a functional community and society for the tribe. Evans-Pritchard’s efforts to clarify meaning in this way have proved hugely influential, and have played a major part in guiding later generations of anthropologists from his day to ours. Kitty Wheater is a PhD candidate in anthropology at the University of Oxford, where her work draws on the anthropology of ethics, embodiment, and new social/religious movements to develop an ethnography of intentional personhood and embodied practice.